As a cyclist, you need a good set of bike tail lights to be visible on the road. There is little denying the benefits of riding a bike with both head and tail lights, especially at night. In fact, due to the reported cycling accidents occurring during the day, using a tail light during the day is one of the things you can do as a cyclist to make yourself safer. 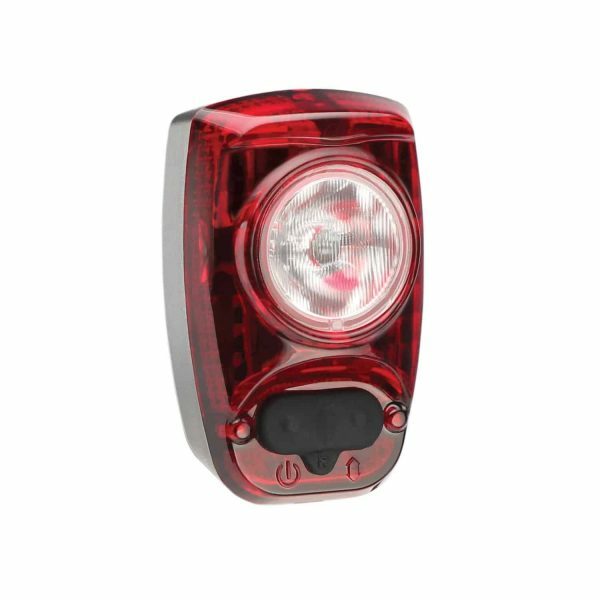 If you’re in the market for a bike tail light that represents the best bang for your buck, then I strongly suggest you to look no further than the Cygolite Hotshot 100. You’re looking at a very bright tail light that is priced affordably. Here are the important features about the Cygolite Hotshot 100 you need to know. Powerful 100 lumens LED that stands out compared to other lights in the same price category. Rechargeable battery that uses a mini-USB cable for charging, the same one used by all Android phones. 6 lightning modes offers you various flash beam types from steady to flash or triple flash and have you covered for all your riding conditions. 2 buttons operation used toggle between modes, on/off, adjust brightness and blinking frequency. Low battery indicator so you won't run out of battery again or forgot to recharge. 2 mounting locations. Can be mounted on both seatposts and seat stays. Very bright and visible light. Ensures other road users don’t have any excuse for not seeing you. Recharge Quickly. No more long waits before hitting the road. Can be Blinding to Other Users. Due to the high brightness, it has to be set low so as not to obstruct the view of others, especially when in a group ride. The Cygolite Hotshot 100 is built with a single LED bulb that provides powerful 100-lumen flashes which ensure you are seen when you are on the road, anywhere and anytime. You will have 6 light modes to choose from to suit a variety of riding conditions that you’ll find yourself in. Choose from Steady, Zoom, SteadyPulse, Triple Flash, DayLightning and Random Flash. Furthermore, the Cygolite Hotshot 100 bike tail light features Enhanced Cycling Optics technology which expands your presence with a long range and extra wide beams. You can easily maximize driver awareness by adjusting the tempo of each flash mode using the 2-button design that comes with the Cygolite Hotshot 100. This simple 2-button operation will ensure you can freely adjust the brightness and frequency of the flash beams. In the brightest of daytime hours, your presence is highlighted by the Triple or Single Flash mode which gives out lightning-like flashes. The zoom mode produces gentle changes in brightness to signal those around you. Most tail lights today can only be mounted on the seat post. But in the case of the Cygolite Hotshot 100, you have an additional option for you to mount the them on seat stays. With its cleverly designed but bulky mounts, you have the flexibility to tilt the light to your preferred angle or for it to be parallel to the road. You want to have your money well spent. The Cygolite Hotshot 100 probably represents the best lumens per dollar ratio out there today. If you’re on a sub $50 budget and still want a high performance tail light, minus all the sleek designs, then I would suggest to look no further than this model. The NiteRider Solas 100 Tail Light is a worthy alternative you can consider besides the Cygolite Hotshot 100. They are very similar in price range, brightness and functionalities. The only main difference is that you have the flexibility to incrementally increase or decrease the beam’s brightness and flash frequency on the Cygolite Hotshot 100. The NiteRider Solas features 2 powerful LEDs pumping out 100 lumens. It comes with 4 modes; 2 steady beams and 2 flash beams. Additionally, it features a group ride mode (a dimmer steady beam) which ensures you stay visible and safer without distracting other cyclists in the peloton. Furthermore, it has a perfectly functional thick easy on and off rubber ladder which can work on seat posts of all sizes.